High performance, professional quality lever harp for discerning players. With a full five octaves, starting and ending on C, the FH 36 S - Staved Soundbox - has an ideal range for a full-size lever harp. The all-solid-wood construction brings a stunning amount of depth, power, responsiveness and articulation to the characteristic bright and clear Dusty Strings sound. 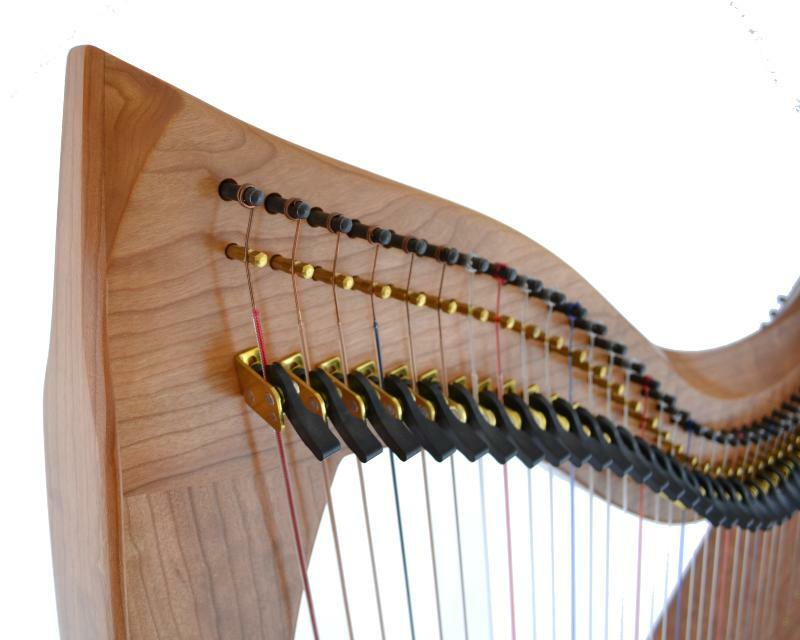 These harps are truly an impressive piece of fine woodworking and a satisfying investment for any professional harp player or harp enthusiast. 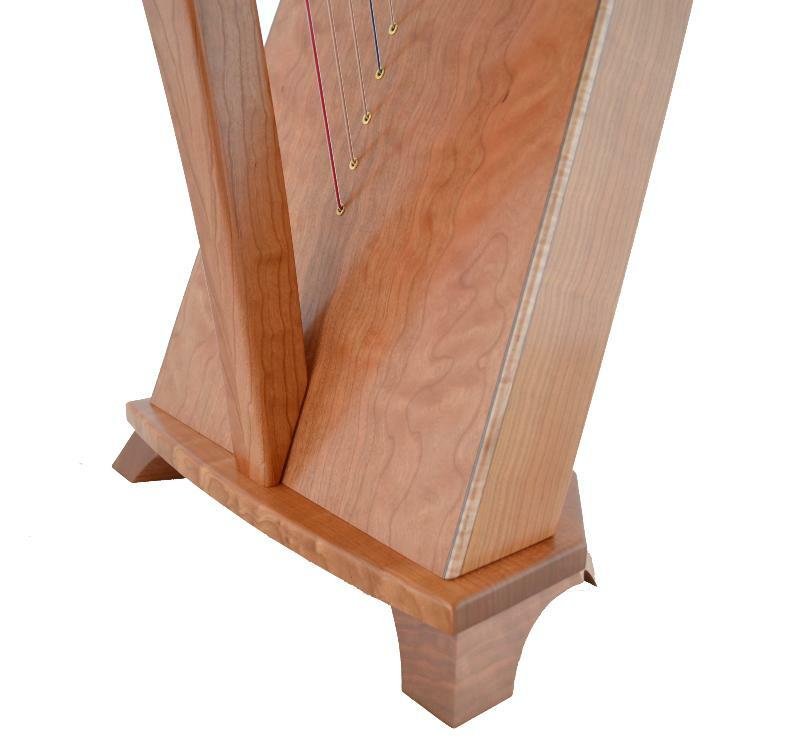 The soundboard features solid Honduras mahogany in the mid and upper ranges and spruce in the bass, overlaid with book-matched figures hardwood veneer and bordered with purfling and edge binding. 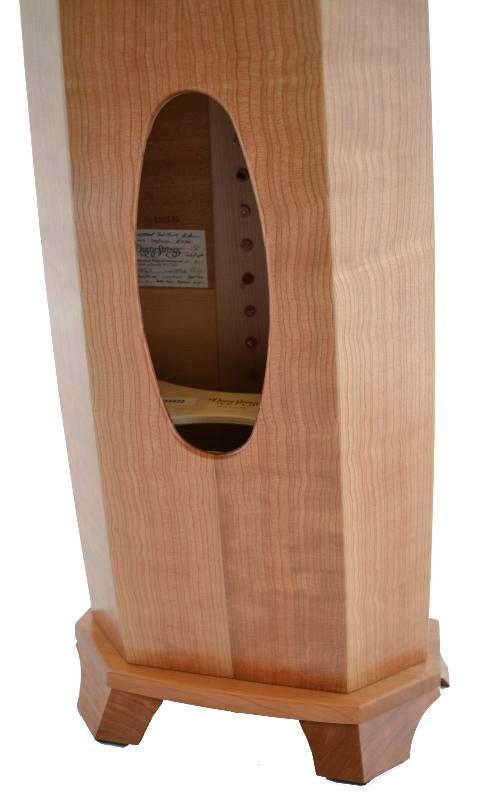 The sides and back of the FH 36 S - Staved Soundbox model consists of five facets of book-matched wood. This design puts a flat facet, rather than a corner, against the player's shoulder, which some find more comfortable and which makes it easier to reach the lower strings. This soundbox shape, as opposed to the hybrid staved / rectangular soundbox of the FH 36 H, gives an overall more rounded sound, with a slightly fuller bass voice. 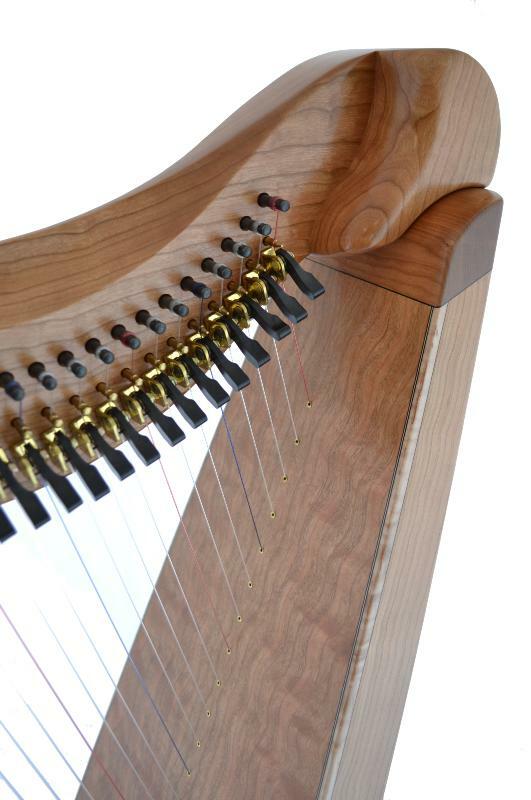 The choice of wood makes a distinctive contribution to the overall sound of the harp. Cherry wood has a lot of the characteristics of bubinga (depth, boldness and resonant bass), but also has some of the warmth and softness of walnut. Cherry could be thought of it as being between walnut and bubinga, but somewhat closer to bubinga. We sometimes have special wood finishes, such as Curly Maple, in stock, in addition to the standard woods. Dusty Strings FH 34 and FH 36 models now also come in a high quality silk black finish. 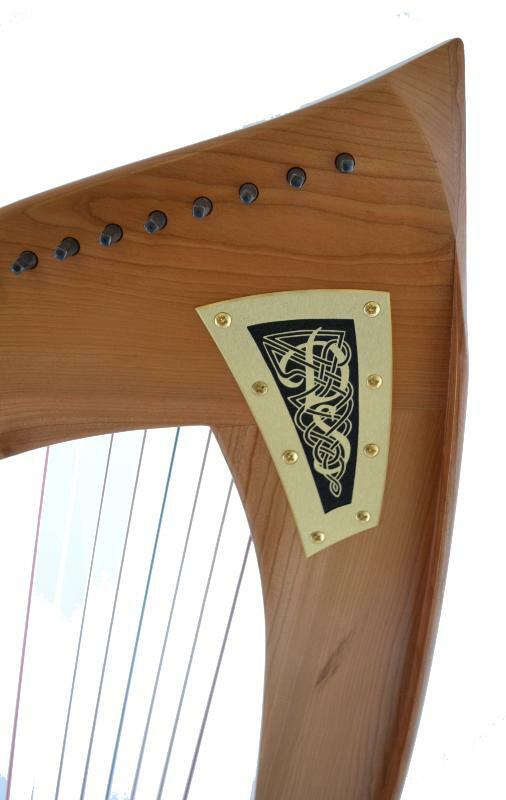 Make your choice of wood based on the tonal qualities you desire and Dusty Strings will then finish the harp in black for you. 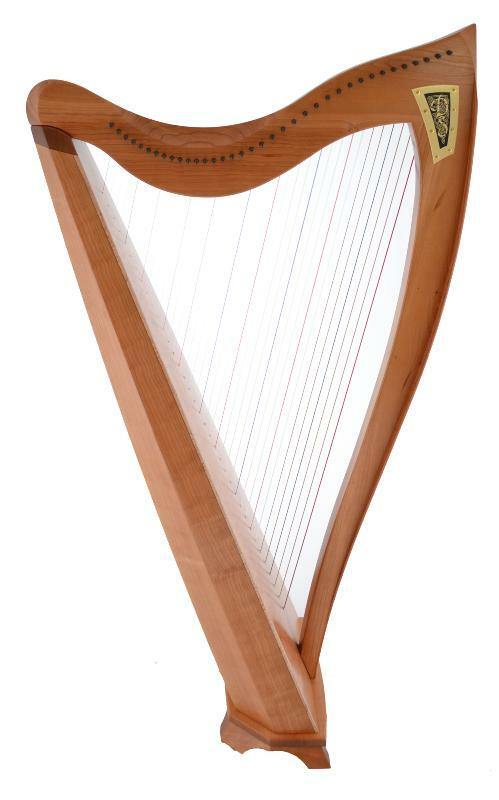 All Dusty Strings harps are supplied with high quality Loveland levers as standard. However, new FH34 and FH36 models can be ordered with Camac levers. View a printable PDF Brochure for the FH 36 S in high resolution or low resolution.